What is the Project of Decommissioning and Contaminated Water Management? For clean-up and decommissioning measures in the Fukushima Daiichi Nuclear Power Plant, the Japanese government has established a fund for decommissioning and contaminated water and supports the technology development using the fund. This project aims at developing the technologies for smooth proceedings of such measures as well as improving the science technology level in Japan. 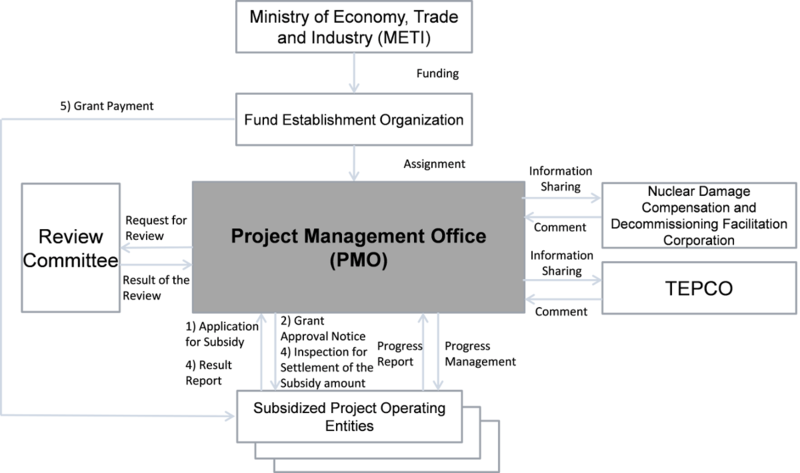 Having been assigned by the fund establishment organization, we commit to the public solicitation of subsidized project operating entities, procedures of the third-party committee’s review and adoption, progress management of projects conducted by the entities, inspection for the settlement of amount, payments, response to inquiries about this project and so on.